How does your Monday look? 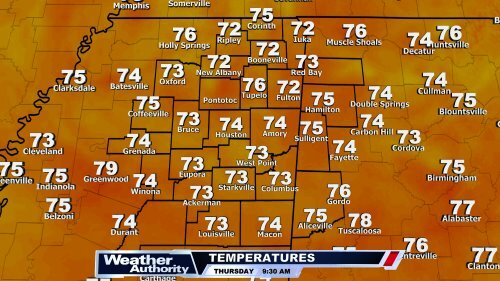 Much cooler for Monday ahead of rain chances Tue-Wed.
See Joel Young's latest forecast in the video above. Expect a few high, thin clouds early Monday morning along with much colder temperatures. We'll begin in the upper 20s to lower 30s with wind chills in the teens and lower 20s. Then through your day, sunshine should prevail. Highs climb into the upper 40s to lower 50s. Then tonight, clouds return to the region. 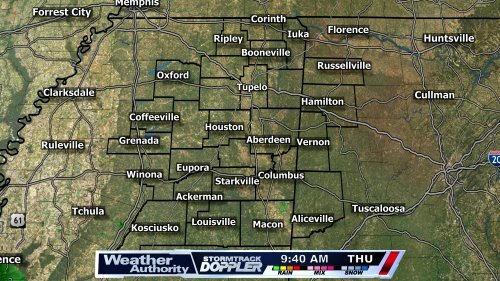 These clouds come with rain chances as well, most of which will fall south of the Golden Triangle into Tuesday morning. These showers will remain light during the day on Tuesday, likely producing no more than 0.15" to 0.25" of rain during the day. Temperatures begin in the upper 30s, warming into the upper 50s during the afternoon. Wednesday morning, showers become more widespread and should become heavier as well. A few rumbles of thunder are likely as well. 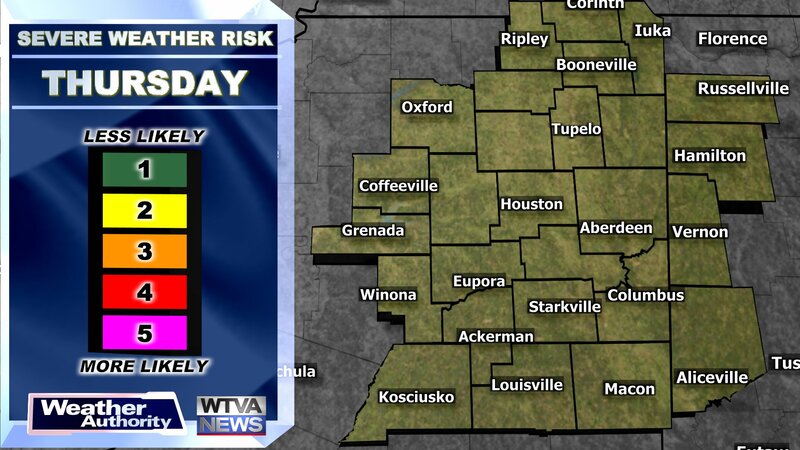 An additional 1 to 2 inches will be possible out of Wednesday morning's rainfall. This will gradually clear out into the afternoon. Temperatures begin in the mid-50s, dropping through the 40s and 30s during the day. By Thursday morning, temperatures are expected to drop into the upper 20s. Thursday afternoon appears sunny and cool with highs into the lower 50s. Then by Friday, expect sunshine and highs returning into the lower 60s. Rain chances return over the weekend with highs remaining into the lower 60s.